Hi readers. Welcome to Love it…Keep it…where I chat about things I’m lovin’ this week. Unfortunately I’ve been sick all week. I can’t seem to shake this cold. I’m so over feeling sick. So here is what is on my list this week. 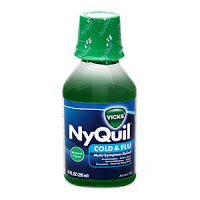 NyQuil. The only reason I’m able to sleep at night. Oh Kleenex. I’ve used a lot of you this week. 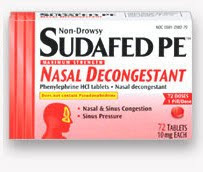 And Sudafed….you’ve helped, sort of. 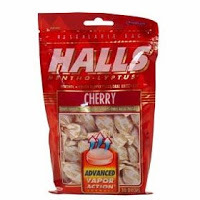 And Halls Cherry cough drops. Thank you for helping my throat. I’m so done with feeling sick. Thanks for stopping by. I hope you all are doing better than I am! Hopefully next week I’ll be back with some fun Love it Keep its. 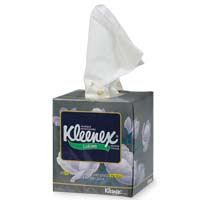 You can't forget the kleenex with aloe… that stuff is amazing! Hope you feeling better soon! Hope you feel better real soon! Thanks for putting up with us when you were feeling so bad.